Generosity is the first practice advocated by Buddha Shakyamuni amongst the six paramitas (or transcendent perfections). Why is generosity important? It is the foundation on which all other qualities manifest – discipline, patience, diligence, meditation and wisdom. It is the gateway to the path of liberation and it is the first step that we have to take to free ourselves from the binds of self-importance to achieve true happiness and freedom. Volunteering your time has a positive impact for both yourself and your surrounding community. We have a variety of short and long-term volunteer opportunities through which you can lend us your skills, while reaping the manifold benefits of meeting and helping others in a meaningful way. If you are interested in exploring any of the above opportunities or if you have something new to offer, please fill in our volunteer form. Our Volunteer Co-ordinator will contact you for your suitability assessment. The Ratna Jewels collection is a collection of specialised dharma products, specially commissioned under the guidance of Chokling Rinpoche and Phakchok Rinpoche. 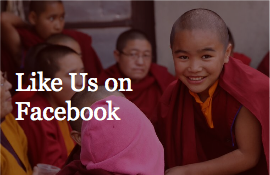 A portion of all their sales proceeds is pledged to Chokgyur Lingpa Foundation. Shop today at www.ratnajewels.com. 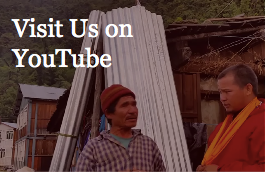 If you are making a will or planning your estate, please consider Chokgyur Lingpa Foundation as a beneficiary. Contact our representative ([email protected]) to discuss your options.